On September 12, 1907, before women had the right to vote, and before Ramsey was incorporated, a group of women got together to establish the Village Improvement Association. Its goal was to make the community a better place for all residents. The Woman’s Club is a good friend to the Ramsey Library. The Library Committee acquired books and opened a small library in a private home, thus creating and founding the first Ramsey Library. The Street and Sanitation Committee established street cleaning and snow removal programs, ensured there was a regular garbage collection schedule, placed refuse containers on street corners and provided better street lighting. The Railroad Committee helped to set up a waiting room at the train station. The Children’s Auxiliary provided awards to schoolchildren similar to the scholarships provided today. The Finance Committee raised funds for a wide range of community improvement projects. The Parks Committee recognized the need for a town park. Through their efforts land was donated, which created Bonny View Park. This park, known as Veterans Park at Bonny View, proudly displays memorials to our veterans. A newly formed EMD conducted several fundraisers to obtain an ambulance for the town of Ramsey. On Sunday, April 12, 1953, a dedication ceremony was held, and the keys to a new Cadillac ambulance were presented to the newly formed Ambulance Corps. Subsequent contributions have been made throughout the years to assist with additional expenses as needed, such as the purchase of gurneys, defibrillators, and other items. Several years later, in 1969, the Fire Chief was awarded his first Chief’s Car. 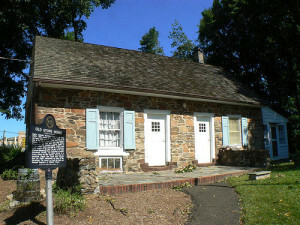 The Club helped save the Old Stone House. Members of the Woman’s Club were able to save the Old Stone House through their untiring efforts in writing letters to highway commissioners and gathering petitions. A landmark of pre-revolutionary days, it was rescued from demolition and established as a historic local museum. 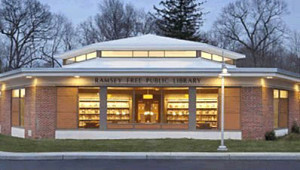 These efforts later resulted in the founding of the Ramsey Historical Association to preserve the history of the area. Helping the youth of Ramsey has been another accomplishment. The women made donations to the Girl Scouts for the purchase of tents and equipment for Camp Suraci. The Woman’s Club and the Junior Club established a Youth Employment Service so interested teenagers could obtain part-time and summer employment; it continues to operate today. Members devote many hours to volunteer efforts, which have resulted in significant contributions to the Ramsey community and local organizations. The Woman’s Club of Ramsey has exceeded the goals established by its founders. We recognize our history, support and develop the leadership skills of our members, and prepare for the future as we continue to make Ramsey a wonderful place to live.